A group representing University of Massachusetts-Boston faculty has issued a no confidence declaration in UMass President Martin Meehan and the university system's board of trustees over the decision to purchase the assets of Mount Ida College. A group representing the faculty of the University of Massachusetts-Boston has issued a declaration of no confidence in UMass President Martin Meehan and the university system's board of trustees over the decision to purchase the assets of Mount Ida College. The group said Monday it's superfluous to use Mount Ida's Newton campus to build a branch of UMass-Amherst near Boston instead of using the UMass-Boston campus. 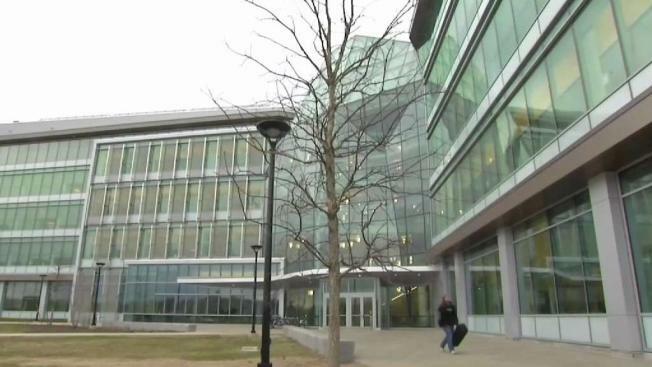 Under the deal, UMass-Amherst is expected to take over the 74-acre campus for "career preparation programs," in science and technology fields that are in demand in the greater Boston area. The council said Meehan and the board are prioritizing one campus over another. They called for the deal to be halted. Meehan said Monday expanding the UMass-Amherst co-op and experiential learning opportunities won't harm UMass-Boston.